Prominent North Ayrshire Labour councillor, Alex Gallagher, Visiting Guest Letters Editor at the Herald seems to be using his position to foreground his own letters. Today, January 1st we read his exciting proposal that the FM should apologise for the 2013 White Paper on independence. I haven’t read the letter. I refuse. Nobody can make me. I don’t need to, to know it’s just daft. Does he think it fooled some of the 45% into voting Yes? Don’t tell me. North Ayrshire Labour Twig* had been at it again earlier in December using the Herald Letters page to attack the SNP. Again, I haven’t read it etc. Using the classic ‘Triple D’ or ‘Dickie Dimwit Dodge’, Gallagher pretended not to know that nuclear waste disposal is a reserved matter before accusing the SNP of a conspiracy to dump nuclear waste Fairlie near to his North Ayrshire domain. Personally, I see something in this one. 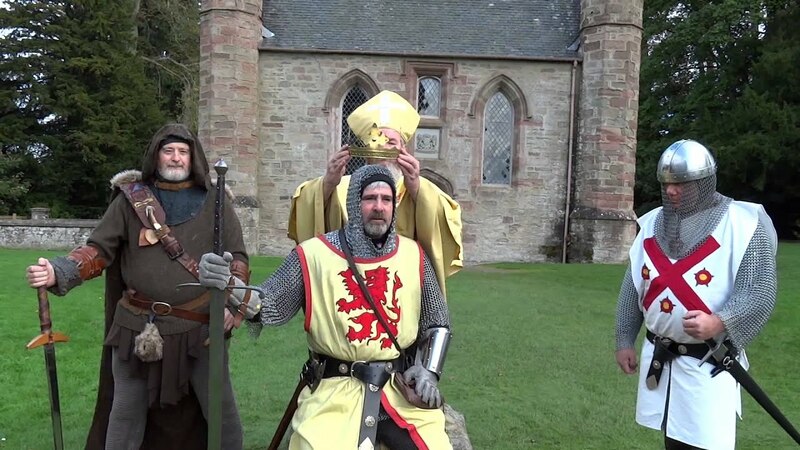 After all, the then-entirely-Catholic, medieval Church of Scotland leadership, were very influential in supporting the Scottish independence movement led by the Bruce, in the early years of the 14th Century. Finally, however, Gallagher seems to have done some damage to his own cause with, these typical ill-judged tweets. I knew a few SNP English-haters back in the day, but I’d be hard pushed to identify one today. Are they all in North Ayrshire? Me? Don’t be daft. I have/had three English aunties (My grandad got around). Iris Murdoch helped me cheat at Uni. My first heroes and style icons were the Who, the Small Faces and the Kinks. I’m un-elected convenor of the ‘Decent English Folk for Indecent Yoons’ population swap initiative. So, TuS calls on the Herald to cancel their agreement with North Ayrshire Labour Twig and return editorship of their letters page to the usual cub reporter team. Where do you even begin to start with that Alex Gallagher fellow? I’m only here to wish you a Happy New Year, continued good mental health & thank you for all your good-natured & whimsical output of recent times. How are you a faux Bairn? Despite being a Celtic man I do go along to the Falkirk games when I get the chance. Mind you, on the basis that I’ve started not one, but two new businesses here in the last couple of months my future’s definitely in Falkirk. Och hell, I’m a Bairn, it’s clearly just a state of mind! Is this the faux Professor of Oxon and self appointed guardian of Frothy Unionism which includes Jill Stephenson and assorted swiveled eyers. HERALD is following The Scotsman like a leming off the cliff if bankruptcy. Question is, who is subidising this Death Wish lunacy. They are bricking it and we haven’t started yet. Expect real dirty tricks during the real fight. We are the Krav Magna boys and girls. No prisoners from now on in. Just realised that this is the N Ayrshire Cooncillor, not the faux Prof.
the celestial teapot sort them out. I thought that was going to develop into a troop rallying speech, to challenge the St. Crispin day one for top slot. I could feel it building but save it till later, I think/hope not much later. Just a stream of consciousness and a sober one with autocorrect buggerations. I am tired of the phony war. Is that Panda doing a Sheela na gig? I coukd have told them all that for a Passport and a bottle of decent red. In the early naughtiest I used to think that Alex Gallagher was our best secret weapon. Now that the Herald’s readership has shrunk might as well let him write all the letters Nae body’s reading the shite.